The ultra-modern venue, designed by German architects Drei Architekten, has some nice twists; the open auditorium can be closed within minutes when rain comes up, by means of 168 rotating, translucent facade lamellas. The auditorium has a capacity of 10,000 seats. 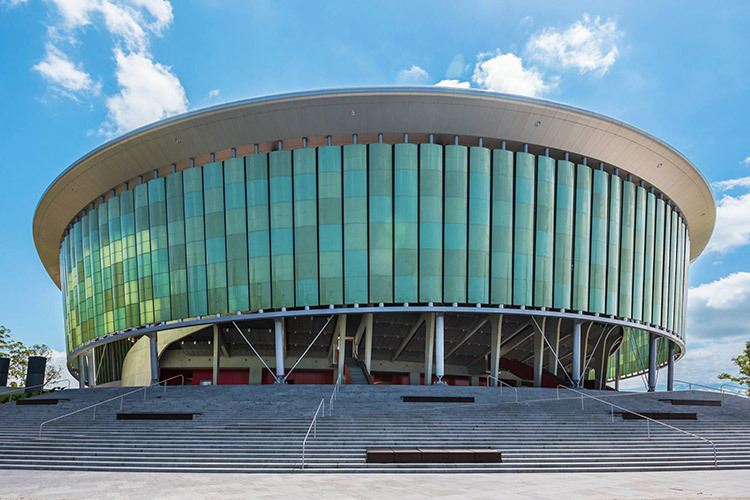 The auditorium, with a stage width of 36m., is designed to accommodate the largest productions of international performing artists. Lithuanian based system integrator, Scenos Techninis Servisas, was asked to provide the turn-key installation. 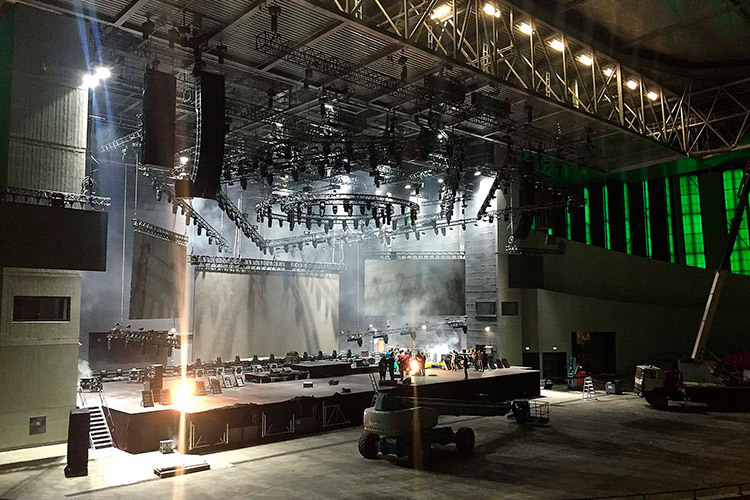 For this installation, Prolyte, L-Acoustics and ROBE were selected as main suppliers.The event stage floor, spanning over 930 square metre, is created from Prolyte StageDex, using a combination of standard TopLine decks and the EasyFrame C support structure. The main stage of 26 x 24 metres is complemented with a catwalk of 2 x 22 metres, both supported with the EasyFrame C. A circular stage of 6 m. diameter completes the staging. 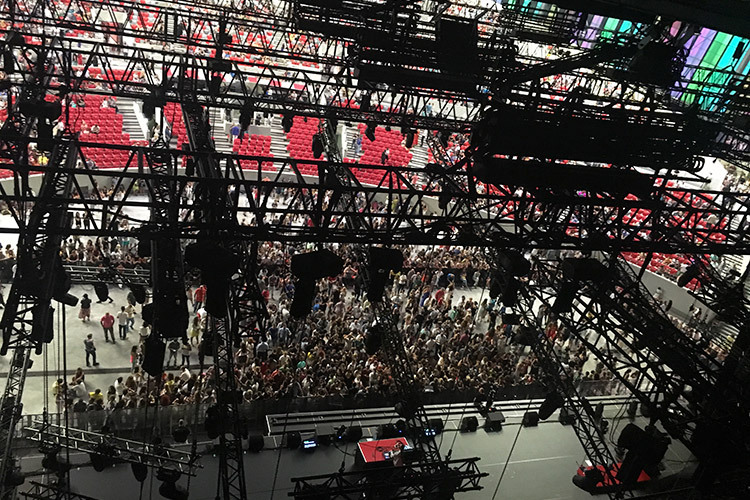 The universal structure can be built in several set-ups, as stage floor, platform or as grandstand, thereby creating maximum flexibility for the venue. 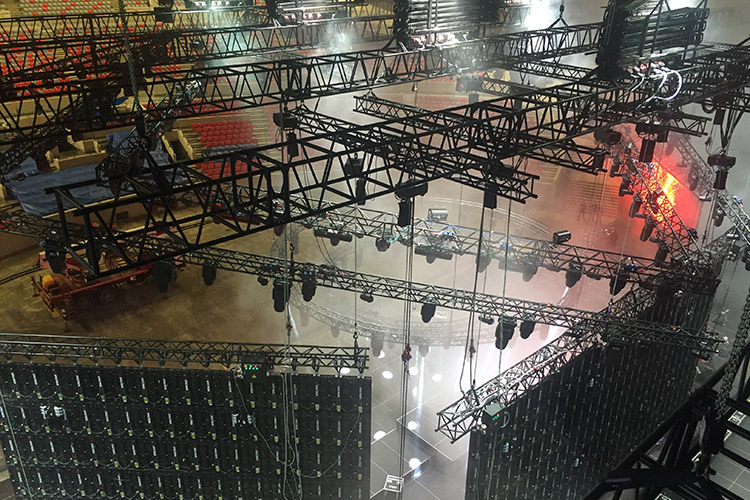 Above the stage a couple of 30 metre spans of S66 truss, suspended on 32 2 tonne ProLyft hoists, act as main grid. The main grid can be lowered to the stage floor to provide easy access to set up or change the show elements. 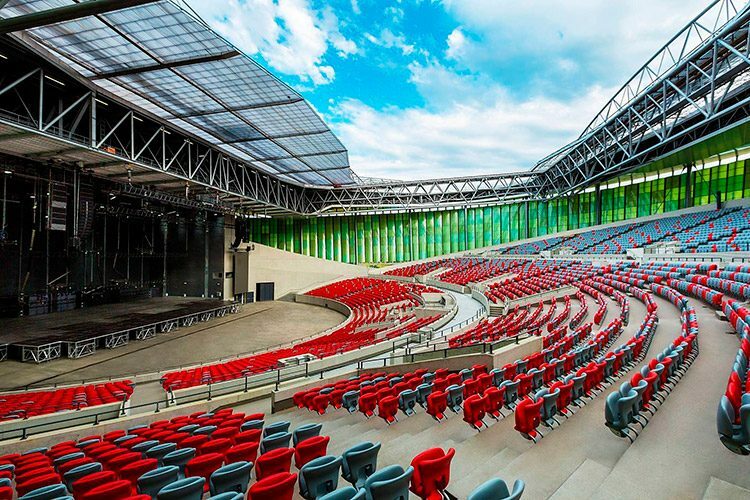 Several truss types, like the H30V, H40V, S36V and S52SV trusses, circular and triangular shapes can be used to make different stage set-ups and various options to create stunning stage designs.